« Summer Camp: Game On! Are you a lover of comics, costumes and Comic Con? 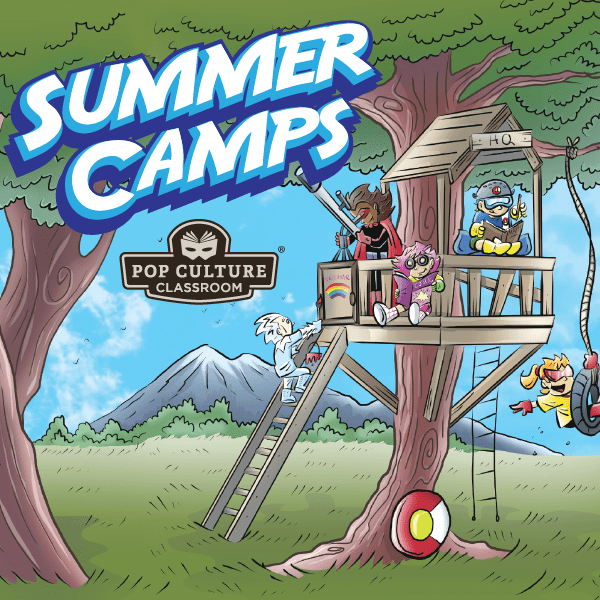 Cosplay and Costumes Camp is a week-long opportunity for you to design and build a wacky and elaborate costume of your favorite character with hands-on assistance from amazing Pop Culture Classroom teachers! You’ll learn costuming techniques and leave with a unique creation you can impress your friends with at Halloween or Pop Culture Con!